Michael Comisso (above) moves all in from the SB after it folds around to him .. and Chris Busch folds. 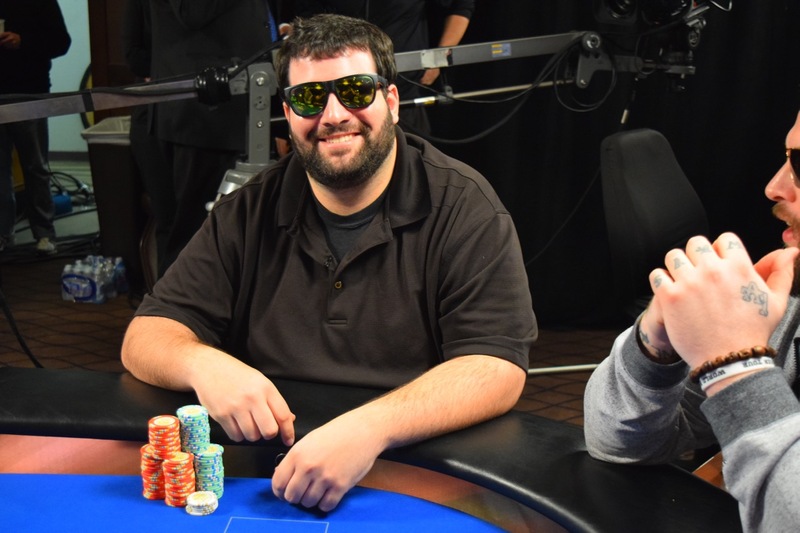 Rich Monroe raises the next hand and Danny Gonzales moves all-in preflop, and Monroe raises. Back-to-back all-ins with no callers.